Edmontonians are proud of their city’s food scene. Get talking to a local about their hometown (it’s easy, they love where they live) and food is bound to come up early in the conversation. And it’s easy to see why, when there are so many incredible cafes, restaurants and bars dotting the city. They even have a ten day festival dedicated to Edmonton’s food and drink scene. They take eating seriously, so obviously we got along! 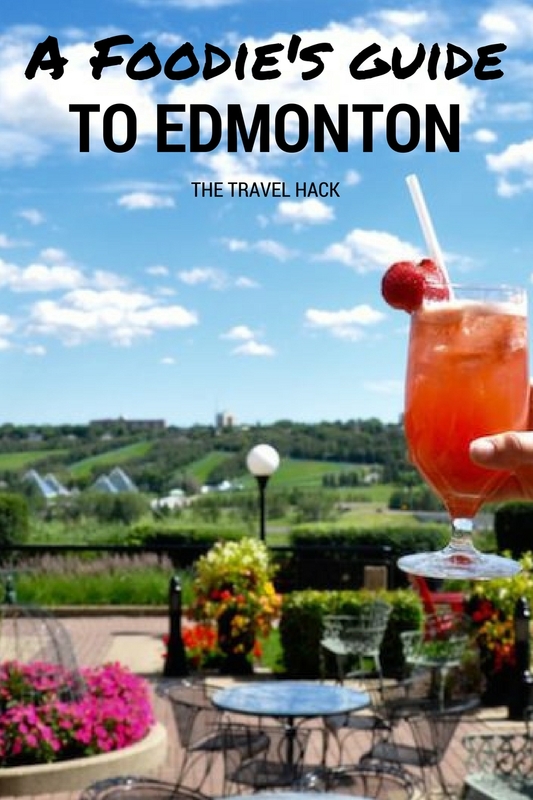 It can be a bit overwhelming to know where – and what – to eat when you arrive in a city so obsessed with good food, so to get you started, here’s our foodie’s guide to Edmonton, so you can eat and drink your way around this tasty Canadian destination. If you’re really serious about eating your way around Edmonton, make sure you visit during the city’s annual Taste of Edmonton festival, which takes place in July. 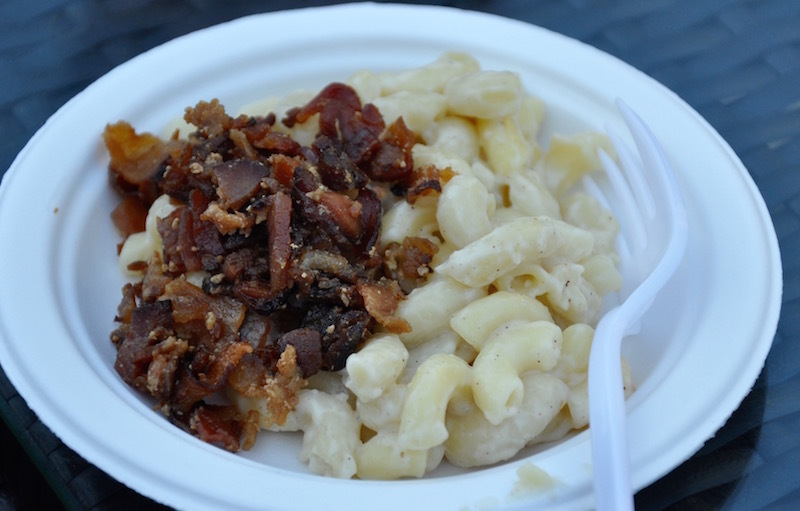 It’s Canada’s largest food festival, and it rivals international events like Taste of London. The festival, which fills up Churchill Square in Downtown Edmonton, showcases food from around 60 locally-owned restaurants and food trucks. Entry is free, so you can take advantage of the daily entertainment on the stage that overlooks the glass pyramid that is Edmonton’s City Hall, and when you’re ready to get sampling, just buy your food tokens (It’s CAD $30 for 20 tokens, and you won’t want any fewer than that!) and make your way around the stalls. Dishes are usually between two and four tokens, so it’s an affordable way of trying dishes from some of the city’s best restaurants without spending a fortune. We tried an embarrassingly large selection of dishes, from fine dining to street food, from vegetarian fare to elk meat…and each one was delicious. Some of the highlights were mac ‘n cheese with maple bacon, pork tacos with kimchi slaw, green onion cake (more on that later), smoked bison carpaccio and banana bread pudding. I could basically just list everything on the menu, because we didn’t taste anything that was just okay. Oh, and if you want an exceptional Taste of Edmonton experience, book a Sip ‘n Savour ticket to enjoy comfy outdoor seating, private bars and culinary workshops. Come for the rice pudding, which is a deliciously creamy breakfast treat that’s equally delicious served hot or cold. Their cinnamon buns and blueberry lemon scones are also divine – it’s the ideal start for a day of exploring Edmonton. 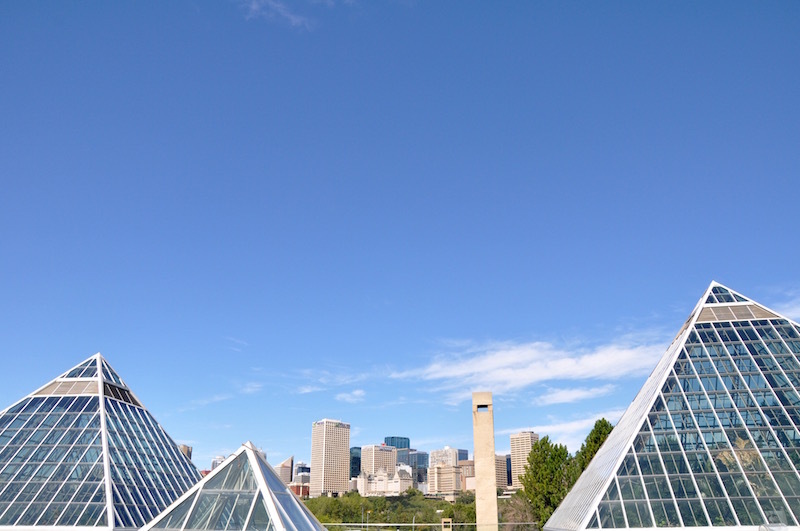 Edmonton’s Muttart Conservatory is a must-see while you’re in the city, and we recommend planning a whole morning there to check out the stunning plants that are on display under the four distinctive pyramids, followed by a tasty brunch at Culina, a cafe that serves hearty breakfasts, brunches and lunches. Go on a sunny day to make the most of the outdoor seating! Located in the basement of the Mercer Warehouse, a 100-year-old building that serves as a creative hub, Transcend Coffee was our favourite spot to grab a morning cuppa. They take coffee seriously, even roasting their own beans, and they offer a number of tempting treats so you can start your morning right. No, we don’t recommend just having beer for lunch, but at Craft Beer Market you can have a darned tasty lunch and enjoy beer from their menu of over 100 varieties on tap. If you’re there on a sunny day you can catch some rays on the roof terrace, but if not there’s an enormous dining room and bar that’s perfect for a casual meal with friends. Edmonton’s Fairmont Hotel is, in true Canadian tradition, a spectacular building and a destination in itself. The Patio is the place to be for incredible views across the River Valley as well as tasty drinks and casual BBQ food. Oh, and while you’re there, be sure to keep an eye out for the resident labrador, Smudge! The perfect restaurant to celebrate a special occasion, Uccellino is in the heart of Downton Edmonton and serves a varied menu of unbelievable Italian food. You won’t just find the classic dishes here, so heed the advice of your server and try things like the crostini with whipped lardo and the chicken cooked under a brick. Trust us, it’s divine. Right in the heart of hipster Strathcona lies El Cortez, a funky Mexican kitchen and tequila bar adorned with neon signs and splashes of bright colours. There are two outdoor areas: one at the front of the restaurant (ideal for people-watching), and one out the back that has a casual barbecue feel. Taco Tuesdays are a highlight, with $3 tacos and $5 Coronas on the menu. Right upstairs from El Cortez you’ll find Have Mercy, a Southern restaurant serving specialties from America’s Deep South like shrimp and grits or chicken and waffle. The cocktails are strong and full of flavour, the neon signs were made for Instagram and the outdoor terrace is where you’ll want to be on a sunny summer’s evening. We discussed the British equivalent of Tim Hortons, and settled on Gregg’s. That might not be totally fair, but it’s a similar chain – found in every Canadian city selling cheap but satisfying fast food, including our favourite choice, Timbits. These doughnut holes are bite-sized balls of sugary perfection, with an impressive array of flavours to choose from. 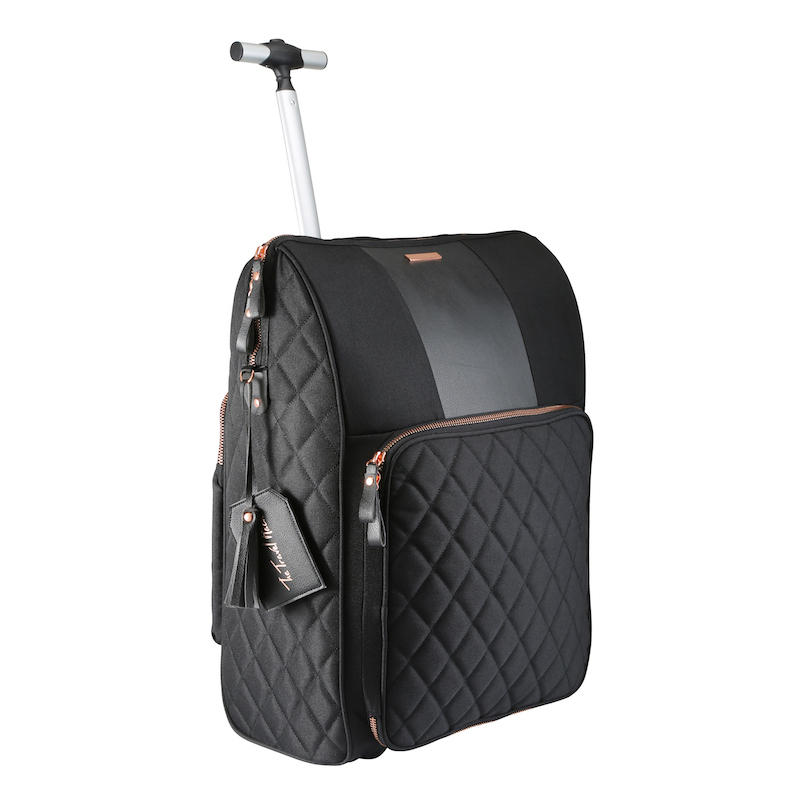 This one’s specific to Edmonton, so you really can’t leave without trying it! It’s a kind of flatbread stuffed with green onions (or spring onions, as we call them here), best dipped in soy sauce or something equally salty. It doesn’t sound like much, but this fried snack is surprisingly satisfying! Thanks to Edmonton Tourism for hosting our spectacular trip! I had no clue Edmonton had so many delicious and unique food offerings! 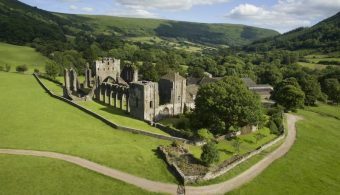 When I was there a few years ago it seemed very dull and boring. I guess I’ll have to make a return visit to check it all out. The foodie scene in Edmonton is amazing but I think it’s a fairly new thing. Once one cool place to eat opens up people want more and more!